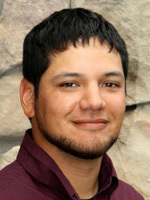 Mark Moreno is a licensed Clinical Social Worker (LCSW) in Idaho who works with children, teens and young adults. Mark grew up in Vale, Oregon and attended Boise State University, where he received his Bachelors and Master’s degrees in Social Work. During his time at Boise State, Mark completed yearlong internships with Ada County Juvenile Court and Kuna School District. Before coming to NNH, Mark worked as an Intensive Behavioral Interventionist for more than three years. Mark enjoys working with youth and adolescents and has worked with them in a variety of settings. These settings include SUWS Wilderness Therapeutic Program, Boise Parks & Recreation, and several mental health agencies.